As a plane crashed in Kentucky, killing 4 people, a 7-year-old girl managed not only to survive the accident - she walked away from the wreckage and reported the accident to a local resident. 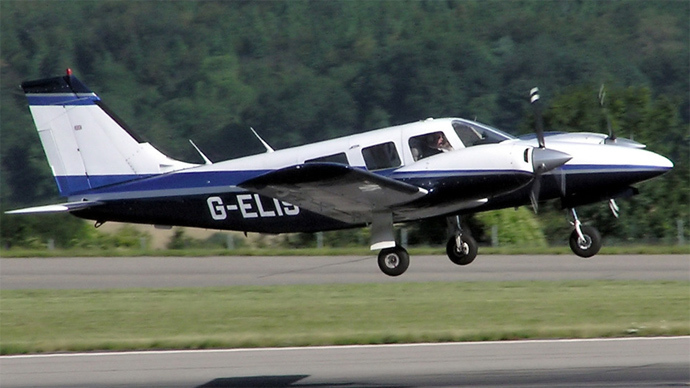 The accident happened when a small Piper PA-34-200T aircraft reported engine trouble and lost contact with air traffic controllers while flying over southwestern Kentucky, the Federal Aviation Administrationsaid. Police officers were alerted after they received a call from a resident in Lyon County, Kentucky, who said a 7-year-old girl walked to his home and reported the crash, Sergeant Dean Patterson of Kentucky State Police said in the official statement. "This girl came out of the wreckage herself and found the closest residence and reported the plane crash," Patterson said. "It's a miracle in a sense that she survived it, but it's tragic that four others didn't." The girl, who suffered emotional distress, was taken to hospital with non-life-threatening injuries, while emergency crews headed to the area of the crash and found a small plane. Police added that investigators on scene “confirm four fatalities at the crash site.” The fatalities account for the pilot and three passengers. Police released the identities of the deceased, but didn’t comment on their relationship to the girl.